Get your hands on a new 2017 Jaguar XJ XJL Portfolio AWD now at Jaguar Colorado Springs! This premium 4-door sedan is the perfect option for the driver who wants a luxurious driving experience while also getting respectable fuel economy! The XJ we have on our lot is fitted with a supercharged 3.0L V6, that also gets an EPA-estimated 17 MPG city/25 MPG highway fuel economy! This means you’re getting high class-performance from your engine, while also getting impressive fuel efficiency! The XJ also comes with a 360 Degree Parking Aid, a Parking Assist Package, and a Surround Camera System to make this a fantastic vehicle for around town driving! The powerful performance will make your next cruise through the beautiful Colorado mountains a dream! We only have one remaining 2017 Jaguar XJ! 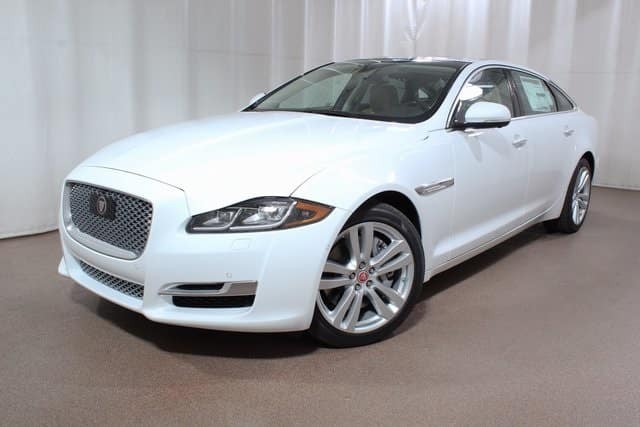 If you don’t want to miss your opportunity to own this premium luxury sedan, then stop into Jaguar Colorado Springs ask about the 2017 Jaguar XJ XJL Portfolio AWD! Luxury and performance can be yours; let the friendly sales staff at Jaguar Colorado Springs help answer your questions about this phenomenal vehicle!